Description：The ambassador of the Republic of Cyprus in China Antonis Toumazis and his team visited CCS on October 23. 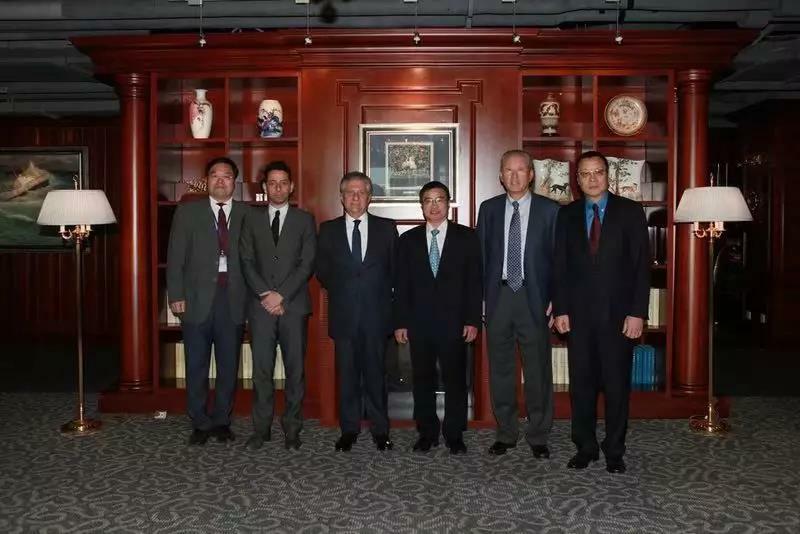 The ambassador of the Republic of Cyprus in China Antonis Toumazis and his team visited CCS on October 23. CCS Party Secretary Mo Jianhui, Vice President Zhu Kai and other relevant department heads had pleasant and friendly talks with them. Mr. Antonis Toumazis expressed appreciation of CCS’s achievements and expected CCS to launch a unit in Cyprus, play a bigger role, and strengthen its connection and cooperation with local shipowners and administration authorities.